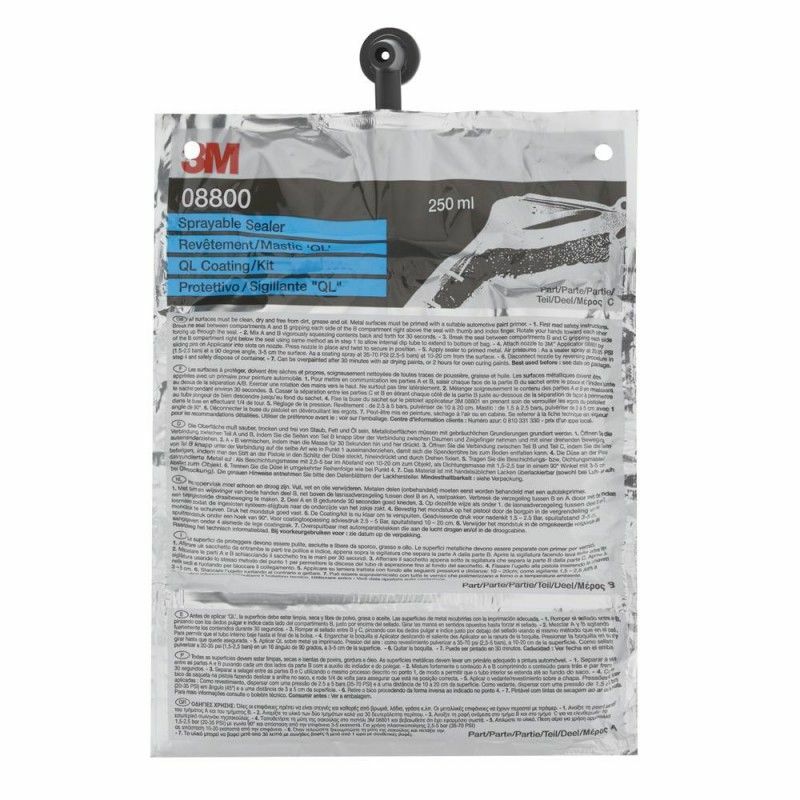 A 2k polyurethane based product packaged in an aluminium sachet, allowing reproduction of the original appearance of body joint seals. Avoids the necessity of gun cleaning, by a divided unipack bag fitted with a disposable nozzle. Can be used for restoring stonechip coatings. Overpaintable in 30 minutes. Rippled appearance achieved by changing the angle of spray.